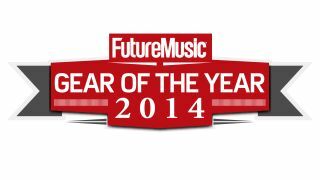 What did you vote the best piece of hi-tech music making gear of 2014? At the end of last year we here at Future Music unveiled our Gear Of The Year issue, in which we ran through the year's top synths, drum machines, DAWs, plug-ins, samplers and more. We said: "At this price, and with so much flexibility, Kick is a real gem." We said: "A ridiculously versatile mono/paraphonic synth. Without doubt a great investment." We said: "With a richer set of features and far fewer operational hurdles than its predecessor, the Sub 37 is superb." We said: "The RYTM sounds massive, it's inspiring and addictive and the sequencer is hugely versatile." We said: "The TR-8 captures the essential tone and mojo of the original TR-808 and 909 but takes it firmly into the future. A must have." We said: "A great addition to the Apollo range with sensible compromises to reach a more affordable price point."